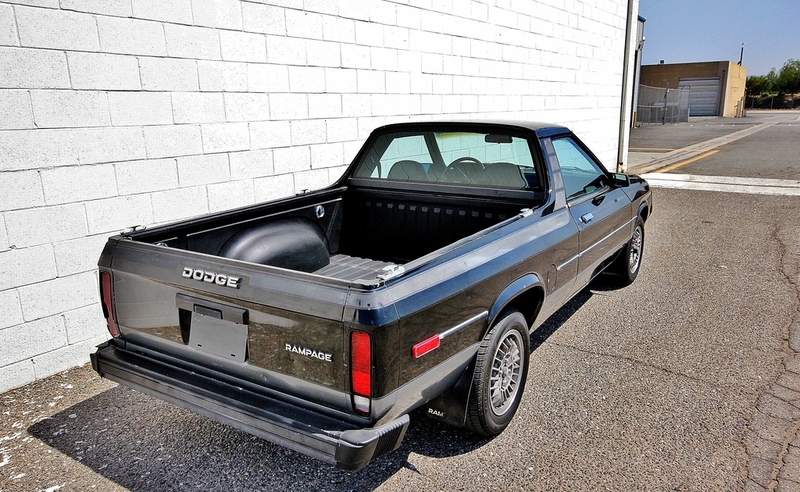 Remember the Dodge Rampage? Those things were sweet. 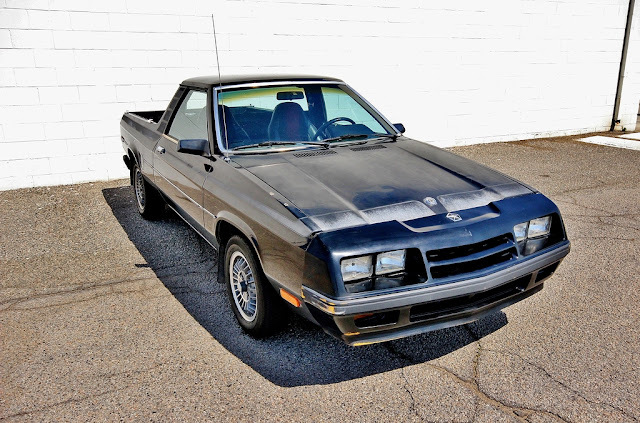 Wait...you don't remember the Dodge Rampage? Lemme give you a recap -- from 1982 through 1984 Dodge sold the Rampage (and Plymouth Scamp) to fill the needs of the (now dead?) light pickup truck market similar to the Subaru BRAT and Volkswagen Rabbit Pickup. Caught up? Great, find this 1982 Dodge Rampage here on eBay bidding for $620 with less than one day to go, located in Highland, CA. 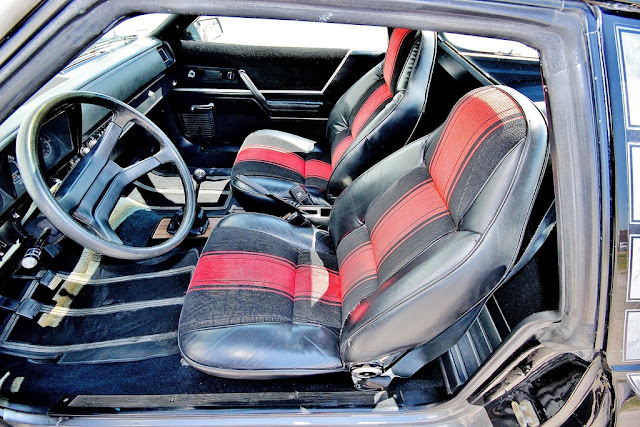 The Rampage/Scamp might have been criticized when new for its transverse front-engine front-drive setup, but no one mocked the car-like fuel economy and wet/snowy traction advantage of the Omni/Horizon chassis. The Rampage was never given the Shelby treatment like the Omni or Charger, so you'll have to deal with the wheezy 2.2 liter Chrysler 4-banger that puts out a miserable 96 horsepower. But, it should return decent fuel economy and be fairly reliable. 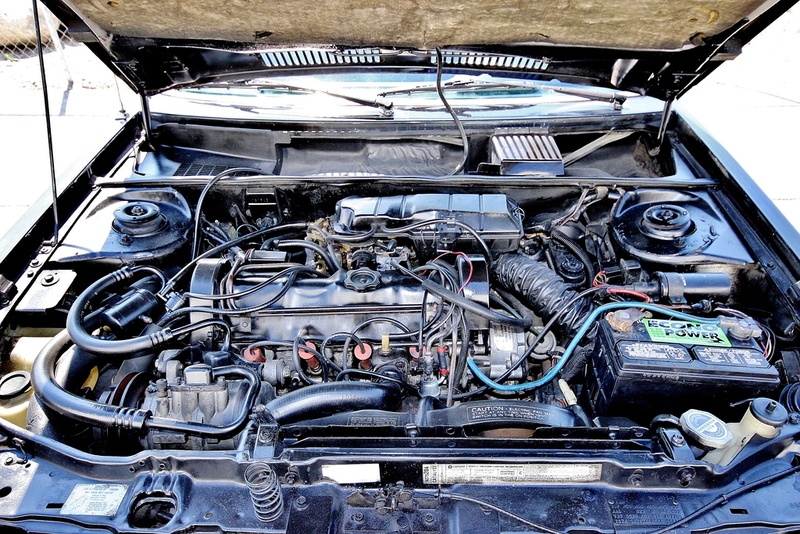 The example is offered from a wholesaler who describes it as a Barn Find that "runs & drivers average" but does not engage 3rd or 4th gears in the transmission. Expect to spend some time refurbishing this pickup before you can rampage around town. I don't know if I should be happy or upset that this (and many other things) are on the opposite side of the country from me. There are some Dodge nuts that love these 4 bangers. I wouldn't be surprised if somebody has a 5 speed and 2.5 turbo engine just waiting for a decent Rampage to stick them in. I knew the double hood ornaments couldn't have been stock - sure enough, looks like someone swapped on an '84 front fascia with the quad headlights. I like it better. Now it only needs some fauxtina paint to match the rest of the vehicle. Must have 2 gallons of Armour all on this thing but I like it swap in a 5 speed 4sure. The seller, wholesale.live is an alter ego of the ebay seller us.bjohnson. The ads are almost identical and they use the same buildings and landmarks to take pictures unless wholesale.live went to the extreme to copy...it's possible, I guess.